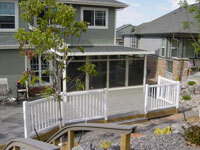 Studio screen rooms are the affordable choice for anyone looking for a screened patio space. Protected from the elements and pesky insect visitors, a studio screen room is the perfect retreat for relaxation, having fun with friends or hosting a barbecue. 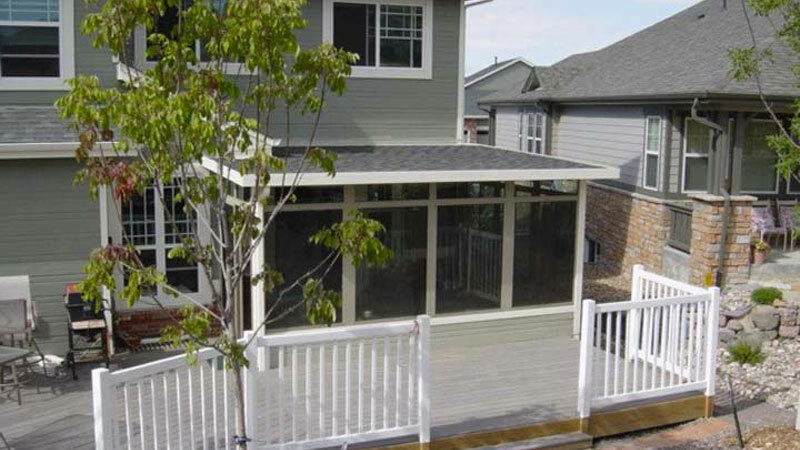 At U.S. Patio Systems, we offer customers the highest quality TEMO screen rooms, which feature vinyl sashes that help to not only protect you from the elements, but also block up to 99% of all harmful UV rays. 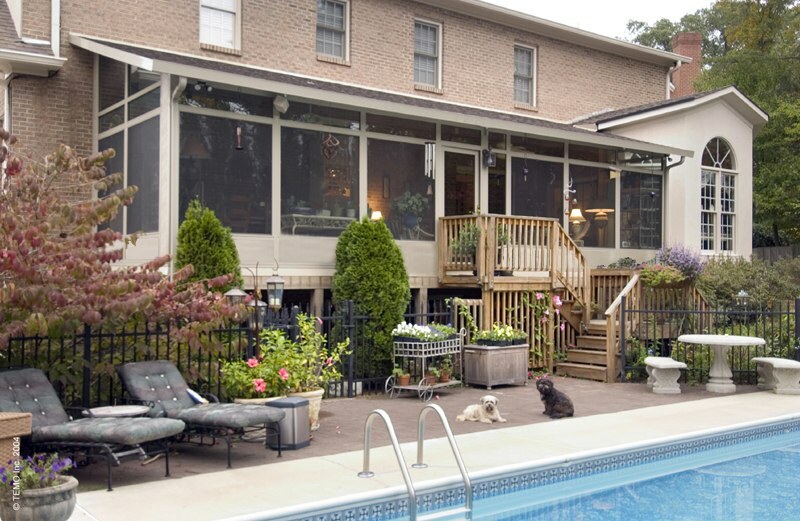 Our sunrooms also feature thermal ceilings that help keep the heat from the sun out while keeping cooler air inside, making a refreshing, relaxing outdoor retreat for you and your family. When you want to enjoy the weather and your new views, the sashes are easy to remove so that you can bring more of the outdoors in. The studio screen rooms are the perfect option for single-story homes, as they easily fit with the size and style of smaller homes. Plus, if you’re considering a sunroom anytime in the future, the studio screen rooms are easily convertible to the sunroom of your dreams! 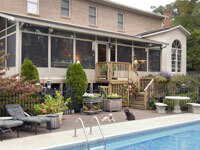 Just have the sashes removed and replace them with high-quality TEMO glass panels and you’re all set. TEMO studio screen rooms are versatile, available in many configurations, and built of high-quality materials. 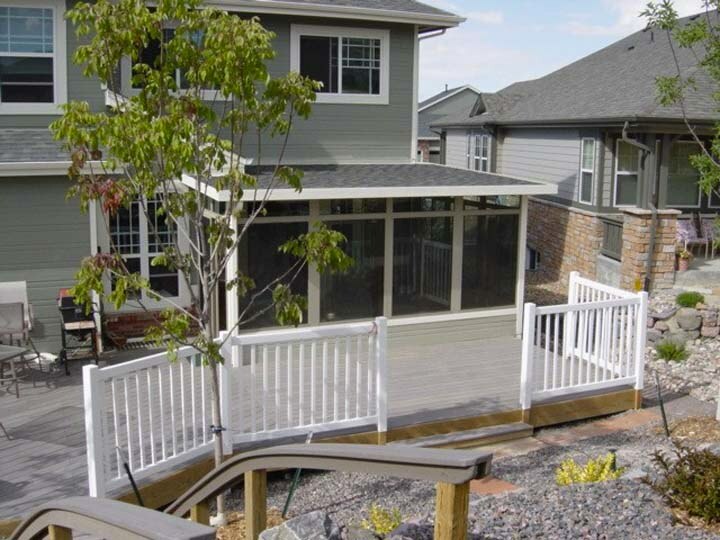 Contact the team at U.S. Patio Systems today to learn more!